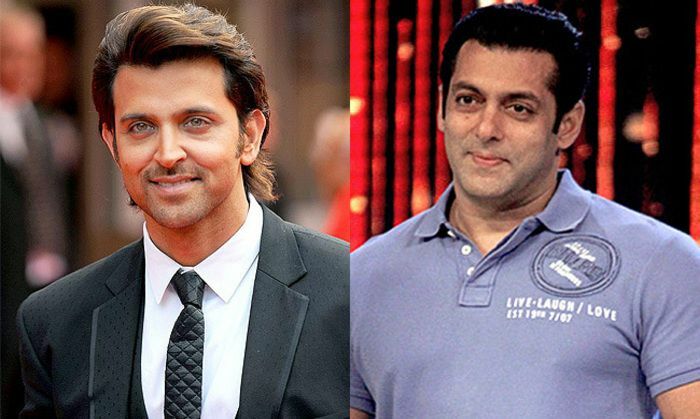 Hrithik Roshan and Salman Khan will be putting an end to a rumours of rivalry between them.. The two actors have allegedly been not on talking terms, they said to have even chosen not to come face to face in the award ceremony last year. In fact the rumours got stronger when last week Shah Rukh Khan arrived on the show to promote his film Raees, which was clashing with Hrithik film at box office on January 25. So there were no expectations of Hrithik also being part of the show. However, apparently Salman personally called Hrithik to appear on the finale shoot. A source says, "Hrithik will be travelling to Lonavla for the shoot tomorrow. He will perform with some of the ex contestants and interact with Salman." Salman too had hinted that everything is hunky dory between them by wishing him luck on Twitter a few days ago and thanking his father for giving Karan Arjun to him and Shah Rukh. It looks like Salman is in a mood to mend relationships with all his foes. Earlier Hrithik Had gone on the show to promote his film Bang Bang but chose not to come face to face with Salman. He entered the house and left after interacting with contestants. But this time he is likely to be present till the results are announced.